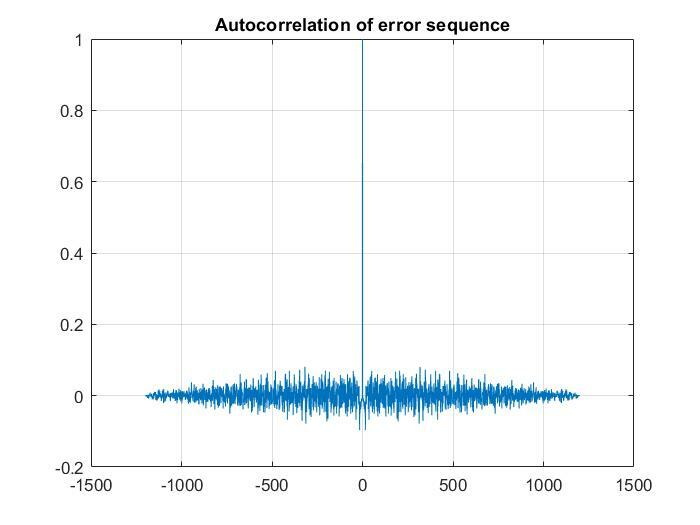 Filter signal with these coefficients to obtain and error signal $r[n]$. Check if $r[n]$ is white. If it is, store the variance of $r[n]$ along with the coefficients and you are done. If not, increase order until (hopefully) $r[n]$ becomes white. With the encoding variance, produce a white signal. 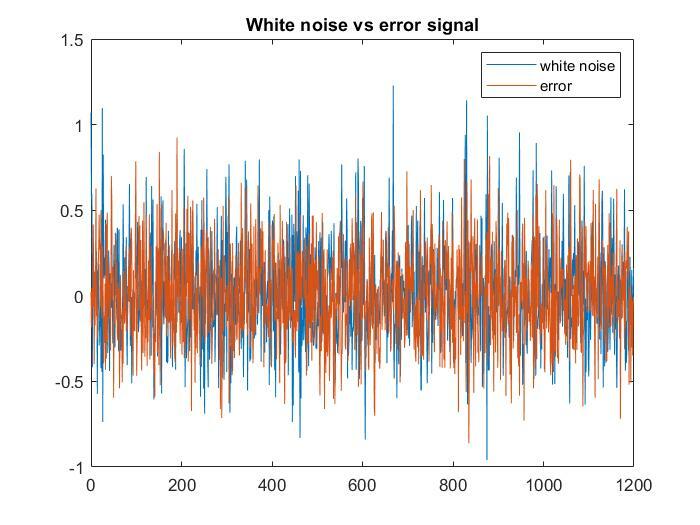 Pass that white signal through the inverse filter. 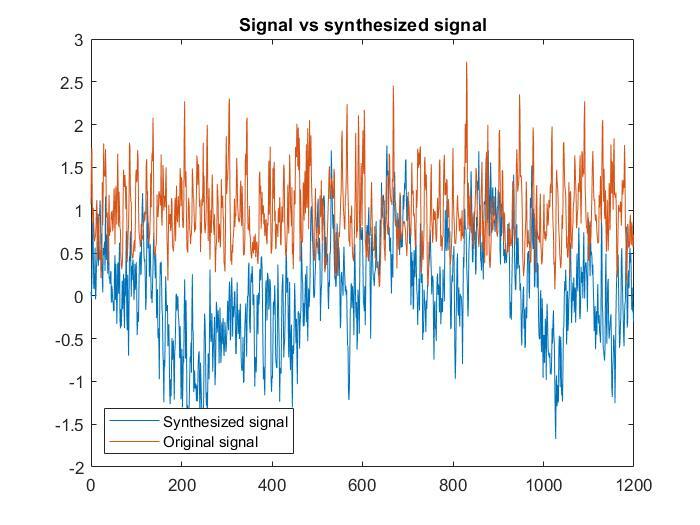 You produce a signal $s[n]$ that has the same autocorrelation sequence and power spectrum as your original. I've completed all the encoding steps - computed my coefficients, checked if my residual signal was white (autocorrelation is a delta function) and then stored its variance. However, the trouble comes during the decoding process. I took the variance I encoded, produced white noise, and filtered it with the inverse filter. 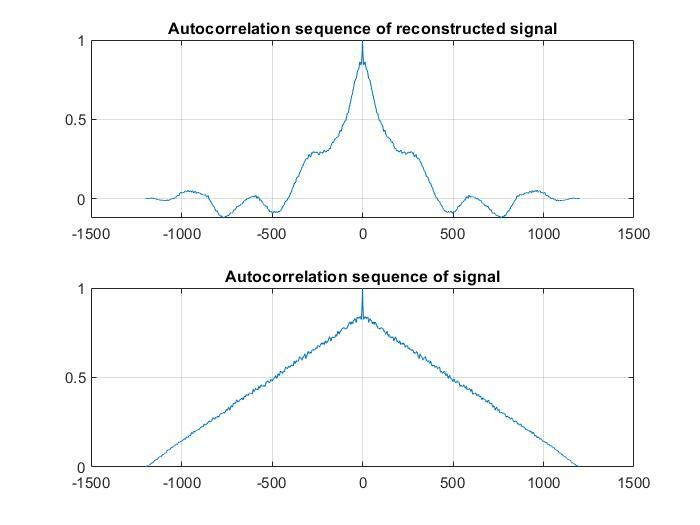 Not only was my signal nowhere near a representation of my old signal, but the two signals had very different autocorrelation sequences as well. I've posted my code and my outputs below. I mainly just want to know if I'm misunderstanding something about LPC or if I'm implementing it wildly incorrectly. Browse other questions tagged discrete-signals linear-systems autoregressive-model lpc linear-prediction or ask your own question.